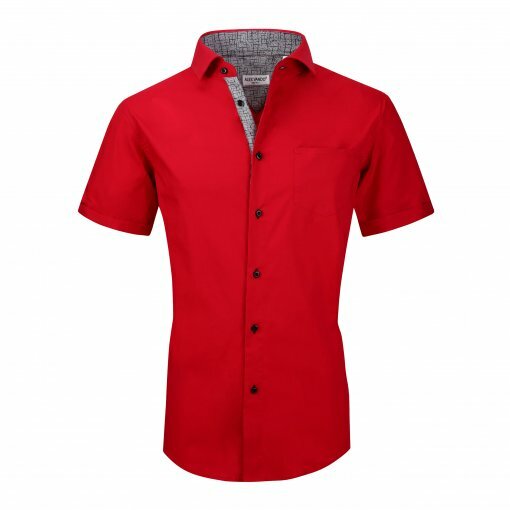 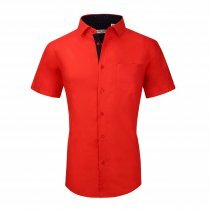 Feature: Accurate Size,Stylish and appealing: Our mens dress shirts are made based on USA regular fit short sleeve casual dress shirt size, Spread collar, sleeve tap, fashion pocket, fits true to size. 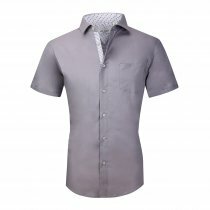 If you want loose shape, please buy one size bigger. 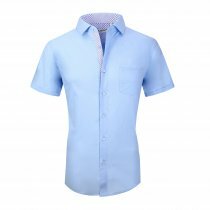 Stylish fitted dress shirt, perfect for any formal ocasion: Our cotton dress shirt is suitable for both casual and formal occassion. 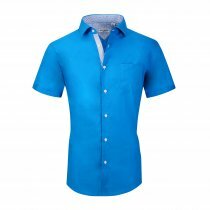 This short sleeve shirt collection is made of 97% cotton and 3% spandex, very soft handfeel and sportflex. To make you stand out the crowd, our designers put the details inside collar and cuff, creats a chest pocket and sleeve tab,makes the shirt more fashionable and unique.